The main library is open to the public and boasts a wonderful range of fiction and non-fiction books, which library-users may borrow or use on site. Providing knowledge and information in various formats, other resources that can be found at the library include audio CDs, DVDs, e-books and virtual library items, microform media, photographs, academic journals, periodicals, maps and pamphlets. The library’s holdings include subject-matter from a wide range of genres and topics, including: biography, literature, philosophy, history, politics, news and current events, culture, religion, music, sport and the arts. The holdings include material in the medium of English as well as in several other South African languages. A well-informed librarian is always on hand to assist with any queries. Patrons also have access to computer terminals where they can find information about the library’s resources, or undertake internet research. There is also a photocopier for everyone’s use and a special reading room for researchers. 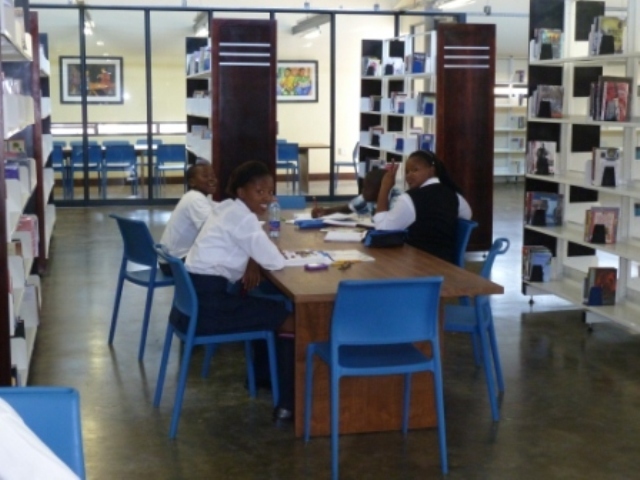 In addition to providing valuable reading material, the library offers various programmes and facilities for the interest and benefit of the community: the oral history project, the book club, opportunities for book launches, seminars, writing workshops and essay competitions. One of the primary commitments of the Steve Biko Centre Library and Archive is to enrich young minds from the earliest possible stage. The Children’s Library has books that enchant, entertain and, most importantly, educate. This is part of our commitment to develop future generations of confidently clear-thinking young people. There are also programmes catering for children of various age groups, including story telling sessions. The Children’s Library also holds special holiday programmes to help children use their spare time constructively. Located in the Ginsberg Township of King William’s Town in the Eastern Cape, the Centre focuses on translating global interest in the legacy of anti-apartheid activist Bantu Stephen Biko..
Sign up to stay informed with our latest news and activities.